A few species of Tetraodontidae, a marine family for the most part, live in brackish water. 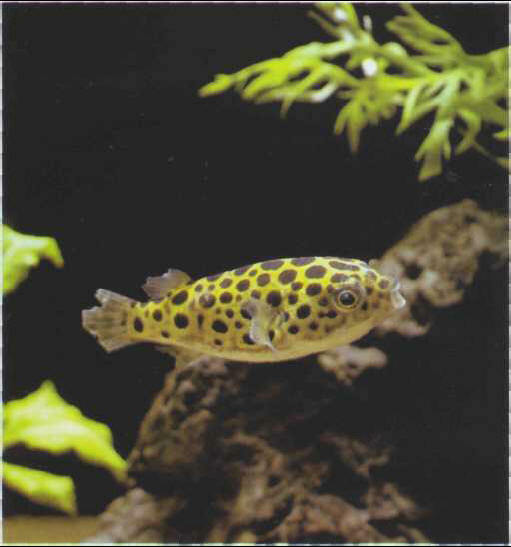 The round-spotted puffer, the commonest, can become aggressive on reaching adulthood. It feeds voraciously on small snails, but will also take live prey. It appears that this puffer can be bred in captivity by using brackish water and keeping the temperature above 26°C. Size: 7-10 cm.